Set in 1980s South Korea amid the tremors of political revolution, I’ll Be Right There follows Jung Yoon, a highly literate, twenty-something woman, as she recounts her tragic personal history as well as those of her three intimate college friends. When Yoon receives a distressing phone call from her ex-boyfriend after eight years of separation, memories of a tumultuous youth begin to resurface, forcing her to re-live the most intense period of her life. 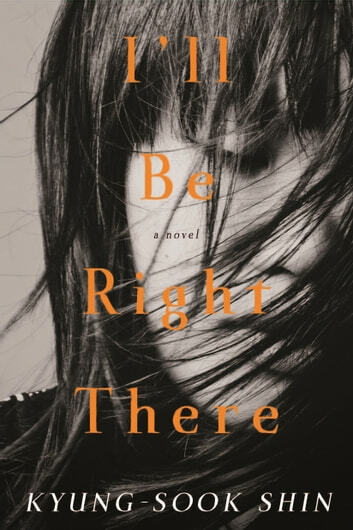 With profound intellectual and emotional insight, she revisits the death of her beloved mother, the strong bond with her now-dying former college professor, the excitement of her first love, and the friendships forged out of a shared sense of isolation and grief. Yoon’s formative experiences, which highlight both the fragility and force of personal connection in an era of absolute uncertainty, become immediately palpable. Shin makes the foreign and esoteric utterly familiar: her use of European literature as an interpreter of emotion and experience bridges any gaps between East and West. Love, friendship, and solitude are the same everywhere, as this book makes poignantly clear.